Bangalore: When Tata Chemicals Ltd, or TCL, commissions its sweet sorghum-fed ethanol plant in Nanded, Maharashtra, next month, it’ll mark a change from the current industry practice. Being the country’s first pure sweet sorghum ethanol plant, it somewhat endorses what researchers have been claiming for long: this is the ideal bioethanol crop for India. The plant will reach its full capacity of 8 million litres per year by 2010, but now it’s the “smallest" commercial plant which, at 30kl a day, is bigger than a pilot and smaller than a commercial plant that typically has a capacity of 100kl a day. The Union cabinet approved the National Policy on Biofuel on 11 September, which mandates 20% blending of biofuel with other fuel by 2017. Owing to this aggressive blending, says Khusrokhan, the volumes required are so large that there is enormous room for all industry players who, no doubt, have “very ambitious plans". 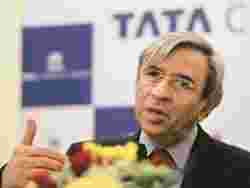 But he thinks there are several common problems that all new entrants in biofuels in India will face. “Therefore, it will be some time before you see real action taking place on the ground," he adds, justifying TCL’s small-scale start. According to him, lack of availability of high quality feedstock and land as well as insufficient research in biodiversity, social and environmental impact are the inhibiting factors. On its part, TCL has been growing sweet sorghum on 450ha in Maharashtra with production technology and planting materials from National Research Centre for Sorghum, or NRCS, in Hyderabad. This cultivation, says TCL, will provide enough feedstock to run this plant. As far as the feedstock itself is concerned, N. Seetharama, director of NRCS, says, “it has a long-term advantage over other crops in terms of sustainability, processing and superior by-products, such as bagasse which is a high quality cattle feed." Moreover, he says, this is the only crop where the “entire plant" can be used for producing ethanol, an area of research which the world is gravitating towards. Sweet sorghum scores better on the feedstock cost parameter as well. To produce 1000 litres of ethanol, the feedstock cost is: $82 for sweet sorghum; $89 for corn, and $112 for sugar cane, according to Belum V.S. Reddy, principal scientist at the non-profit International Crops Research Institute for the Semi-Arid Tropics in Hyderabad. The institute has set up a sweet sorghum consortium with four Indian industry partners, including TCL, and some overseas partners including Jade Grupo Cooperativo, Mexicano, Mexico. TCL has other plans to make use of the by-products of its ethanol business, driven primarily by research from its Innovation Centre in Pune. Khusrokhan admits that no breakthrough from the centre, currently housing 35 scientists and focusing on nanotechnology and biotechnology, is made public yet. However, there are two areas related to sugar derivatives that the company is planning to capitalize on—zero calorie sweeteners and biopolymers based on the glycerine streams of biodiesel. With more than a dozen sweeteners in the market, some of which have been linked to weight gain and cancer, natural sweetener in sorghum syrup might just prove right for counting calories, particularly among the swelling diabetic population.